A Maggie’s Customer Favorite is back and better than ever! 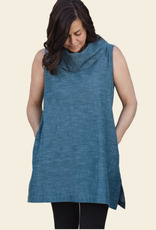 Made in India from 100% Organic Cotton Chambray fabric! This woven, textured chambray has beautiful variation in yarn color giving the garment one of a kind look. 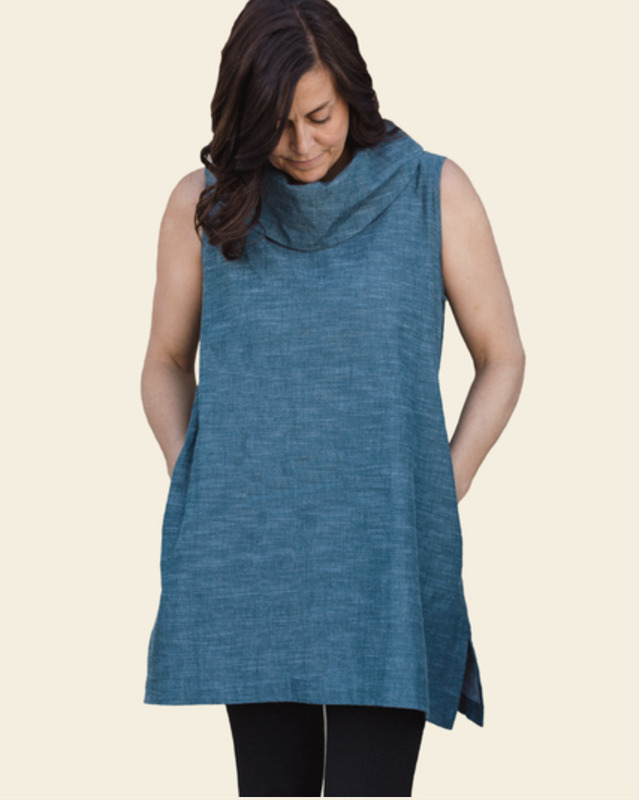 Our tunic features a cowl neck, and pockets on both sides, making this garment both sophisticated and comfortable! Pairs perfectly with your favorite Maggie's leggings or skinny jeans! Main Image: Our model, Jill, is 5'8'' (Dress Size 8-10) and is wearing a Medium.